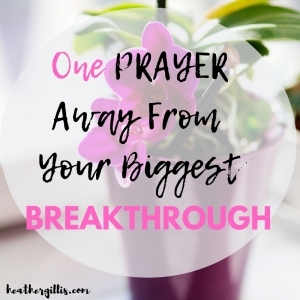 Do you have that one thing that gets in the way of your biggest breakthrough? 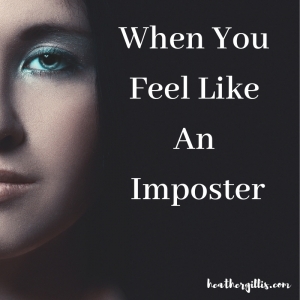 Maybe it’s a quirk, an idiosyncrasy, a flaw that gets in your way? 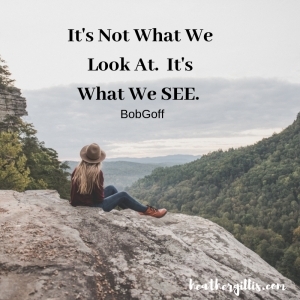 Maybe you struggle with handling money, time management, getting healthy or temptation. Chances are, the one thing getting in the way is US. My one thing that is my consistent stumbling is my organization and lies I’ve embraced along the way that I’m not good enough. If I’m not careful, my disorganization and doubts of myself can be the biggest factor in my downfall. Whatever our one thing is, they aren’t meant to keep us from our breakthrough they are the catalyst God uses for the breakthrough. Our flaws and weaknesses can seem like we’re staring at a 90-foot wall, getting in the way of God’s abundant plan for us. But really they are apart of God’s plan to reveal His greater glory. Four men who desired a breakthrough more than anything were lepers waiting for their chance to live a life they never had. In 2 Kings, these four leper men lived outside of the entrance of the city gate. People with skin diseases were forbidden by law to reside within the community. They were considered outcasts. These four men spent their days begging for food. At the time there was a great famine and war going on—times were tough for everyone. One day the men said to each other, “Why should we sit here waiting to die?” “We will starve if we stay here, but with the famine in the city, we will starve if we go back there. So we might as well go out and surrender to the Aramean army. If they let us live, so much the better. But if they kill us, we would have died anyway” 2 Kings 7:3-4. The men recognized if they stayed where they were, there was a 100% chance they would starve and die. If they went out to the battlefield and surrendered to the army, they had a small chance of survival. Imagine this scene. These four lepers probably spent the greater part of their lives staring at the gate that separated them from the city begging for food—it’s the only life they have ever known. Now they are about to embark on an unknown path without fully knowing if they will live or die. “So at twilight, they set out for the camp of the Arameans. But when they came to the edge of the camp, no one was there! For the Lord had caused the Aramean army to hear the clatter of speeding chariots and the galloping of horses and the sounds of a great army approaching. So they panicked and ran into the night, abandoning their tents, horses, donkeys, and everything else, as they fled for their lives.” (2 Kings 7:5-6-7). 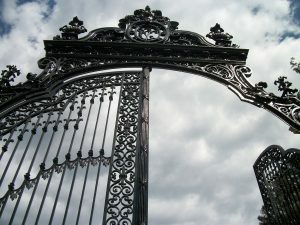 I can’t imagine the courage it took the men to go past the gates that was forbidden to enter so they could have a fighting chance for their future. The odds were already against these four men, but God had worked everything out before they even got to the battle lines, they only needed to take one step of faith. God caused the army to hear an opposing army approaching, which caused them to flee! “When the men with leprosy arrived at the edge of the camp, they went into one tent after another, eating and drinking wine; and they carried off silver and gold and clothing and hid it. Finally, they said to each other, “This is not right. This is a day of good news, and we aren’t sharing it with anyone! If we wait until morning, some calamity will certainly fall upon us. Come on, let’s go back and tell the people at the palace” (2 Kings 7:8-9). How surprised were these men when they found no one there and abundant riches waiting for them? They went from starving to trusting in God, to receive the most lavish gifts ever in their lives. How would you respond? Would you share your newly found riches with someone else or keep them to yourself? The response of the lepers astounds me. They lived in squalor conditions most of their lives. Their immediate response was to share with the very people who considered them outcasts! “So they went back to the city and told the gatekeepers what had happened. “We went out to the Aramean camp,” they said, “and no one was there! The horses and donkeys were tethered and the tents were all in order, but there wasn’t a single person around!” Then the gatekeepers shouted the news to the people in the palace” (2 Kings 7:10-11). Leprosy was the one thing that kept these men from living in community with others, but God used it in the end, to bring them together. No one else had the courage to go towards the battle except these men. What is one thing that holds you back from your breakthrough? Maybe it’s fear. shame. pride. doubt. worry. anxiety. You’re one thing may be the very thing keeping you from the abundant freedom God desires for you. I am encouraged by the courage of these four men. They were willing to abandon everything that was comfortable to them and go towards where God was asking them to go—towards the battle. When they did, God had already gone ahead of them and worked everything out. When they let go of the one thing that was holding them back, God filled them abundantly more than what they could ever ask for or imagine. We are only one prayer from our next breakthrough. If you desire a breakthrough start praying, ask God to reveal what is getting in the way and give it to Him. 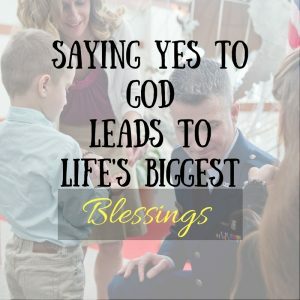 I promise when you say yes to God and surrender our stumbling block to him, He will be there waiting to fill you abundantly more than whatever you could ask for or imagine. 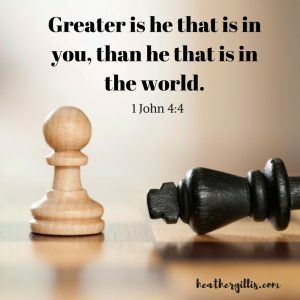 God is greater. http://www.heathergillis.com/wp-content/uploads/2018/05/lightstock_70178_small_heather.jpg 900 1200 Heather Gillis http://www.heathergillis.com/wp-content/uploads/2018/11/heather-gillis-logo.png Heather Gillis2018-05-25 01:00:522019-02-27 04:40:19What is One Thing Holding You Back From Your Biggest Breakthrough? Have you ever lost something very valuable? Something that no amount of money could replace because it was invaluable? When I was younger I almost lost something that couldn’t be replaced–my faith. I made choices I am not proud of and those choices lead me to places I didn’t want to be. In those moments I turned away from God, He never left my side and His merciful love brought me back home. 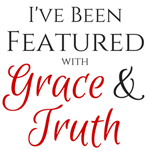 In the end, I questioned what was so important for me to abandon my faith? In the Bible, the disciples were some of the closest people to Jesus. They walked, talked and followed Him, heard him speak, saw him perform miracles and yet coward to worldly persecution almost losing their most valuable possession–their faith. At the Last Supper Jesus warned the disciples that someone would betray Him, one who was eating among them (Mark 14:18). After the Last Supper, He even warns Peter that he would deny Him (Mark 14:27) and tells the disciples, they will also scatter. Jesus warned the disciples that their faith would be tested and they too would turn away from their faith. When Jesus says this, Peter proclaims all the other followers may fall, but I will not (Mark 14:29). Jesus then tells Peter, before the rooster crows twice you will disown me three times (Mark 14:30). Peter and the others emphatically claimed, even if they had to die with Jesus, they would never disown Him (Mark 14:31). When Judas appeared in the Garden of Gethsemane with the Roman soldiers, he kissed Jesus on the cheek to signal to the soldiers which one was Jesus. “The men seized Jesus and arrested him” (Mark 14:44-46). After Jesus was arrested everyone including the disciples scattered like sheep. It scares me to think even the people that walked, talked and followed Jesus deserted and fled Him at the time He needed them most. Everyone left Jesus because they were afraid that they too would be arrested for being associated with Him. Peter moments before said He would never flee or deny His Lord and Savior. The disciples proclaimed they would die before ever disowning Jesus. And yet they fled. It was even easy for the disciples who were students of Jesus. For three years they listened to His teachings, His warnings, His messages. And yet they fled in fear of getting arrested. What happened to their faith? In the three years with Jesus, the disciples witnessed Jesus walk on water, calm the storms, feed 5,000 people with 2 loaves of bread and 5 fish, raise the dead, heal the sick and lame, give the blind their sight, cast our demons and turn wine to water. 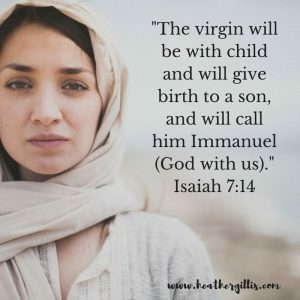 They witnessed with their own eyes the very things Jesus was capable of. They proclaimed Jesus as their Messiah and Lord. And yet most of them weren’t even present at the cross at their own Messiah’s death, in His greatest suffering. The disciples fear of persecution caused them to react with their flesh and not their faith. Who knows? Maybe their fear saved them from also being crucified on the cross? It didn’t take long for the disciples’ faith to be restored. After Jesus’ resurrection, He appeared to Mary Magdelene and two men walking in the country (Mark 16:9,12). Jesus told them to go tell the disciples. When Jesus appeared to the disciples he rebuked them for their lack of faith and stubborn refusal to believe those who had seen him after he had risen (Mark 16:14). Again they didn’t believe! The disciples were able to see firsthand the scars of Jesus, proof that he had indeed been crucified, buried and resurrected. The eyewitnesses weren’t enough to convince their unbelieving hearts that Jesus had risen! They had to see with their own eyes! Just 7 days after Jesus’ death the disciples would boldly profess their faith in Jesus again without any fear at the Pentecost . According to the book of Acts, their faith never wavered again and they stood firm even in the face of persecution. Our rebellion, our fear, our ignorance, our disbelief, our pride are the very things that will make us abandon our faith and choose the other way. We may not be able to witness Jesus firsthand like the disciples did, but we can witness Jesus firsthand by staying in The Word and through prayer. Can you relate to the disciples? 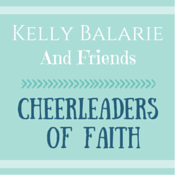 They allowed their fears to almost lose the most valuable thing in their lives–their faith. I’m so glad after Jesus’ resurrection they never questioned their faith again. Have you ever allowed something to come in between you and God? 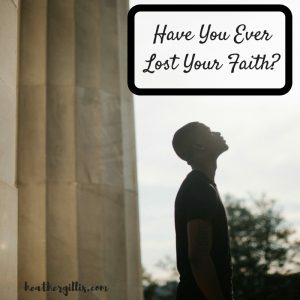 Have you ever lost your faith? I am ashamed to admit I walked away from God for a period of time in my life. It was one of the worst decisions I made in my life. I never knew how valuable my faith was until I lost it. I once was lost, but now I’m found. God’s profound abundant love, captivated me. 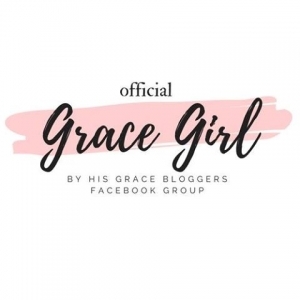 His neverending mercy and grace, consumed me. His forgiveness and sacrifice embraced my heart to never walk away from my faith again. Maybe you’re hurting, in a place you don’t want to be. Maybe you feel like you’re so far from God and don’t know how to get back. I promise you, God is there waiting for you. He wants you. All we have to say is “God help me.” He will be there, I promise. Blum, E. A. (1985). John. In J. F. Walvoord & R. B. Zuck (Eds. ), The Bible Knowledge Commentary: An Exposition of the Scriptures (Vol. 2, p. 343). Wheaton, IL: Victor Books. I will never forget the time we had to take our daughter to the hospital when she fell off a stool. It was dinnertime and she was wiggling around on a not so stable wooden stool. I had asked her to please stop wiggling around because she was going to fall and get hurt. She was 5 years old at the time and was working on her listening skills. I turned around to plate my dinner then heard a loud crash and immediate screaming. I turned to see streams of blood running from my daughter’s finger. She had smashed her pinkie finger under the wooden stool onto the tile floor. I immediately picked her up and applied pressure to her finger with a paper towel. We knew she needed more than stitches. 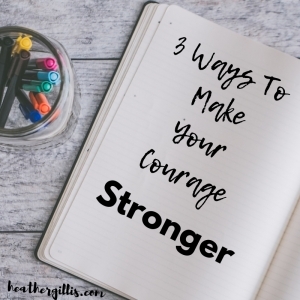 As I drove her to the hospital, fear filled her mind with what was going to happen when she arrived in the emergency room. She was deathly afraid of needles and hospitals. Our son had died a year earlier and her perception of hospitals was, when a person gets sick they might not come home. I kept reassuring her that the doctors would fix her finger and she definitely was coming home with me. If you can even imagine, we were taken to the very unit our son had died only a year and a half prior. I couldn’t believe what was happening. I started questioning God, “Why did you bring me here?” Our Father in heaven knows exactly what we need to achieve wholehearted healing. He knew what I needed even when I didn’t. He knew I needed to face my fears head on even if it hurt. When we let go of what we hold so tightly onto, God will fill it with something so much greater and better. Brooklyn had a successful surgery, everything went well. After we were discharged, I asked Brooklyn, “Will you walk into Bowen’s room with me?” I knew if God brought me all the way here, I mine as well visit the last place I held our son alive in our arms. When I walked into the room I received an overwhelming gift of peace that went beyond understanding. 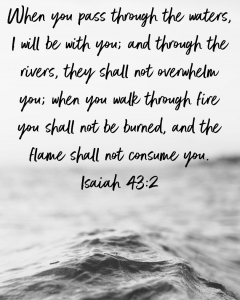 I felt the presence of the Holy Spirit with me, telling me ‘You don’t have anything to fear or worry about, I have your son and am taking care of him.’ I felt a weight lifted off of my shoulders that I have never felt before. When I walked towards where God was asking me to go, I received the greatest reward of hope and peace. I received another gift that day. The hospital where our son died was a place of horror for me. That day, God replaced my horrific memory with a new one. The same emergency room door we walked out of with empty arms, is the same door we walked out of holding onto our daughter’s hand. God was a replacing our painful memory with a healing one–one that offered an endless amount of hope. Have you ever felt hopeless in your situation? Our daughter is ten years old now and remembers the day she fell off the stool. Her finger is a daily reminder of how God restores and renews us. Whenever she sits on a stool we still mention don’t wiggle around! It’s amazing the pearls of wisdom that come out of the mouth of babes. She recently sat on a stool that was anchored to the ground. She discovered she could wiggle around all she wanted and the stool would never fall. She said, “I need this stool to keep me safe.” She recognized there is safety when things are anchored to a strong foundation. God keeps His word and promises. 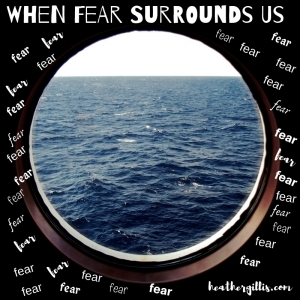 Like an anchor holding a ship safely from drifting off, our hope in Jesus ensures our safety. A ship’s anchor goes down to the bottom of the ocean to ground it. Our anchor is secured in the true heavenly sanctuary that anchors to God Himself. 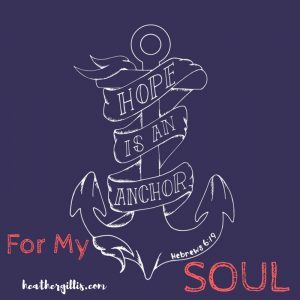 Are you anchored in Hope? What gives you hope in your storms? God is faithful, He will never leave you.